Scroll to the bottom of the Newsletter for the latest Eagle Fest News! 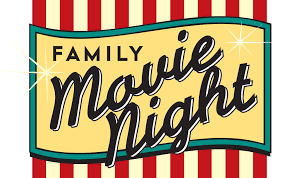 Come join the fun at Summitt Movie Night on Friday, October 5. We will be showing “Paddington 2” and “Ferdinand” in the cafeteria and the Great Hall. A ticket will get you a snack pack with popcorn, a sweet, and a drink. Bring a blanket or a chair if you’d like. Doors open at 6:30 p.m. and the movies start around 7 p.m.
It’s time for the Summitt Fall Skate Night! 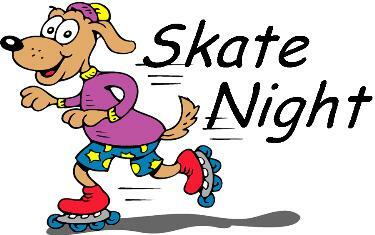 Put on your favorite skate outfit and join us at Playland Skate Center (8822 McCann Dr, Austin, TX 78757) on Friday, October 12th from 6-9pm. The cost is $9. Tell them you’re with Summitt and a portion of your entry will be donated to Summitt PTA. For the next few weeks, we are short one of our top volunteers in the Teacher Workroom. We have several requests for copies, laminating, and other projects. Your help would significantly help our teacher workload. The Teacher Workroom is open from 7:10am until 4pm. Please come volunteer! Please help Summitt continue to earn money by collecting your Box Tops! Next week’s Monday folders will include a Box Tops collection sheet. For every collection sheet turned in, your student will earn a small prize. Extra collection sheets and a bin can be found on the Community Table in the Great Hall. Thank you to everyone who trimmed and turned in Box Tops last year!! Prizes=Fun! Eagle Fest is in need of small, unopened toys from restaurants like McDonalds, Chick Fil’A, Wendy’s, and Arby’s. We are also running low on larger “prize booth toys” (sport balls, craft kits, cool trinkets, etc.) in new or gently-used condition. A toy donation box will be set in the Great Hall near the Summitt Office. Thank you! Tuesday-Thursday, October 16-18 – Vision and Hearing Screening (Pre-K, Kindergarten and 5th Grade). Please consider volunteering to help retrieve classes for this. Contact Shana Pokorny in the front office (shana.pokorny@austinisd.org) with questions. Thursday, October 25 – Student Flu Shots. There will be information coming soon about signing up for flu shots. There have been more than 10 cases of the flu at Summitt this year. They will also need volunteers to help that day. Austin ISD proudly recognizes Custodian Appreciation Week, October 1-5. From spotless floors to bathroom cleanliness, Summitt custodial staff work hard to keep our facilities clean and safe. Day in and day out, they arrive early and stay late to make sure that Summitt is a great place to learn, teach and work. They are a crucial part of our family. The next time you are on campus, let them know how much you appreciate their hard work! We’re not trying to be cheesy when we say that Summitt’s cafeteria staff is a slice above the rest! Ours are nacho average food service workers. And we’d all go bananas if it weren’t for our lunchroom monitors. They are truly Life Savers! So, please remember our cafeteria staff and all the work they do for our students by saying thank you to them in commemoration of Food Service Workers and Lunchroom Monitors Appreciation Week, October 8-12!! Salsa, queso, bananas, oh my! Gift cards, containers or baggies, oh—why? We still need a few more goodies by this Friday, October 5, for next week’s appreciation week: https://www.signupgenius.com/go/10C0D49AFA62AA7F85-fall1. Please sign up to help make a special treat for our cafeteria workers! Email questions to appreciationdays@summitteagles.org. If you have any time this next week, our librarian (Denise Richey, denise.richey@austinisd.org) needs help pulling Halloween books for display, decorating the library for October, changing the bulletin board, and labeling reading incentive posters. If you have time Tuesday, October 16, Wednesday, October 17, or Thursday, October 18, beginning at 8 am, please consider volunteering to help retrieve classes for fall vision and hearing testing. Contact Shana Pokorny in the front office (shana.pokorny@austinisd.org) with questions. Please join us for Coffee with the Principal on October 23rd at 7:45 am in the library. Coffee and donuts will be provided thanks to the generous donation by Dunkin’ Donuts. Austin Radio Control Association will host its 4th annual Electric RC Air Show on Saturday, Oct. 6, 10 am-4pm, at 8705 Lindell Lane. More info here. TROJAN PINK OUT t-shirts will be sold for $10 (cash or check, made payable to Komen Austin) at the Anderson Spirit Store through the end of October. Shirts can also be purchased immediately BEFORE our PINK OUT events. Need your official TPO t-shirt now! Email Karin Foster at bkrjf@aol.com for individualized purchase/delivery options. Thank you for helping us turn Anderson PINK this October! Bring your family and friends to enjoy the wonderful carnival atmosphere, play games, and raise money for our school! Eagle Fest is our largest-attended PTA fundraiser and 100% of the proceeds go directly to our Summitt students! Most of your old favorite games are back this year, as is our fabulous prize table. Buy tickets to play our fun games and earn tokens to exchange for prizes at our prize table. New this year will be a Hockey game presented by Chaparral Ice! Tickets can be purchased in bundles of 10 for $5.00. That’s only 50 cents a ticket! Approximately 20 tickets will allow a child to play each token-winning game at Eagle Fest once. An additional 20 tickets will allow a child to do every single game/booth/attraction. Hotdogs, cotton candy and popcorn will be available for purchase via tickets. About 20 tickets will feed a family of 4 a hotdog dinner. Tickets will still be sold during Eagle Fest at the ticket booth – cash, check, and credit accepted. Eagle Fest is in need of small, unopened toys from restaurants like McDonald’s, Chick Fil’A, Wendy’s, and Arby’s as well as larger “prize booth toys” in new or gently-used condition. A toy donation box will be set in the Great Hall near the Summitt Office. Thank you to the following Summitt families and Eagle Fest business donations for supporting our school.